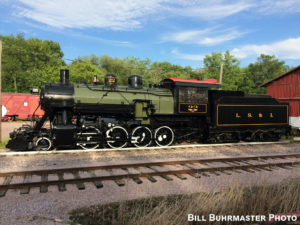 LSI& #22 at Mid-Continent, July 2017. Bill Buhrmaster photo. #22 with restored tender, October 2001. Bill Buhrmaster photo. LS&I #22 served her entire life in the Marquette area of the upper peninsula of Michigan. 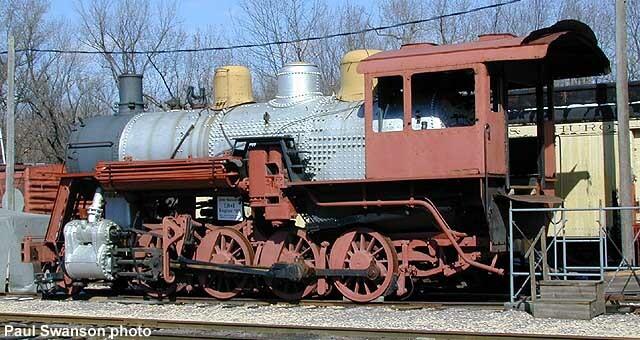 She was built by the Pittsburgh works of American Locomotive Company for the Marquette & Southeastern as their #38 in 1910. 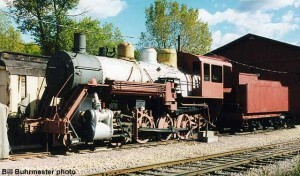 #22 under restoration in April 2000. Paul Swanson photo. 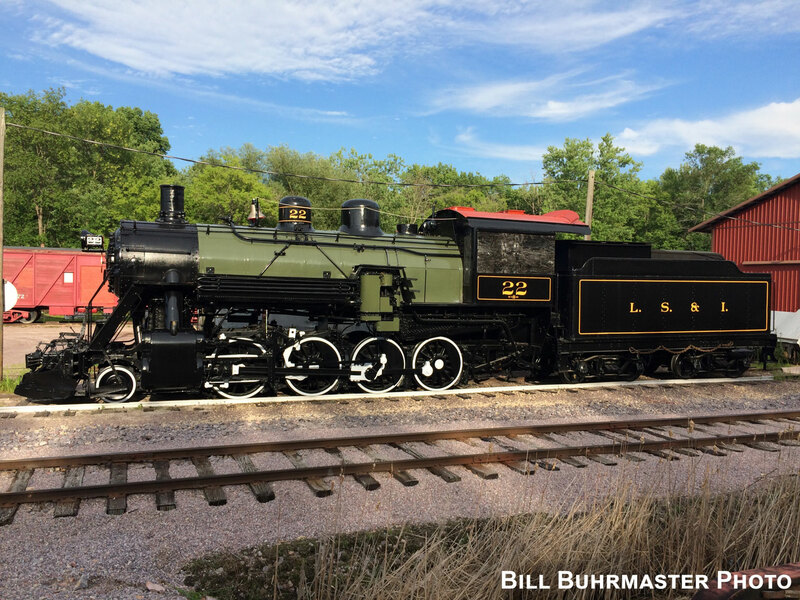 One year later, the M&SE became the Munising Marquette & Southeastern, and she retained her number 38. 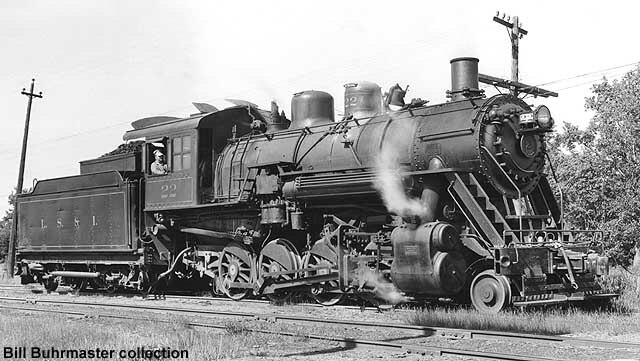 In 1924, MM&SE was merged into the Lake Superior & Ishpeming, and she became LS&I #22. The LS&I was based at Marquette, Michigan where ore was delivered to a dock for loading into Great Lakes ships. #22 under restoration, May 20, 1995. 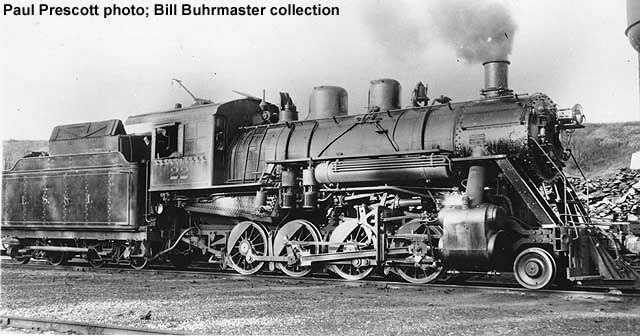 Bill Buhrmaster photo. 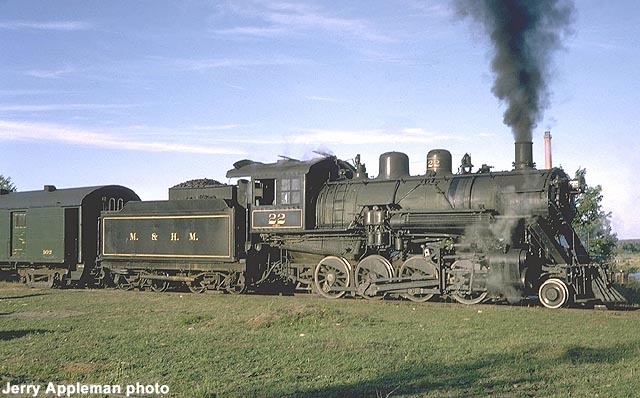 In 1963, LS&I #22 was sold, along with many other LS&I locomotives, to a local tourist line called Marquette & Huron Mountain. #22 worked in service for M&HM during 1964-65 (her final run was on Labor Day of 1965). 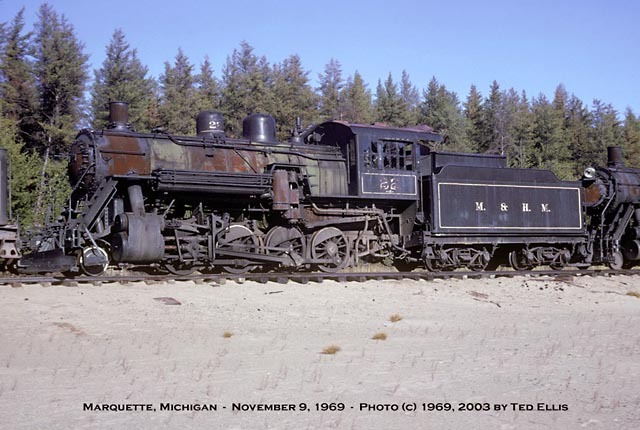 #22 at Marquette, MI, November 9, 1969. Ted Ellis photo. 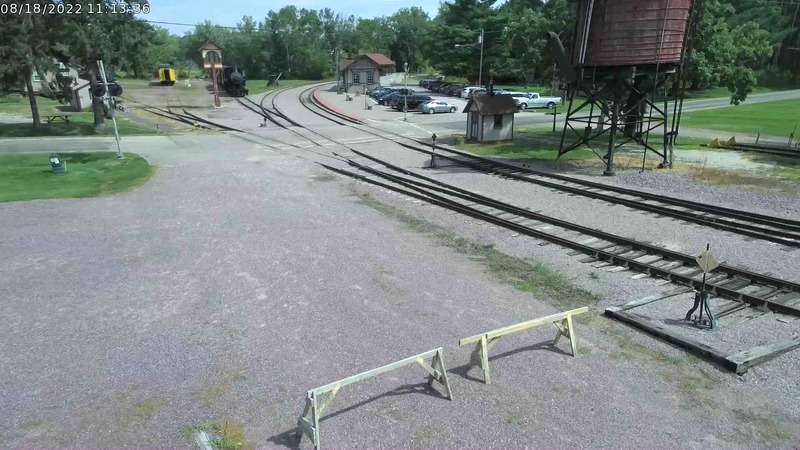 In 1984, M&HM suspended operations, and their equipment was sold at auction. 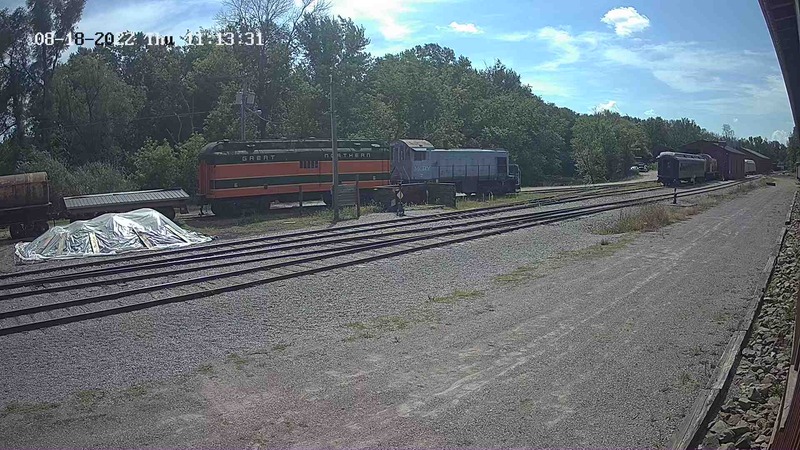 #22 and sister #29 were purchased by Mid-Continent members and moved to North Freedom along with several cars. #22 is currently under restoration by its owners. Boiler work has been completed except for new tubes to meet FRA regulations. #22 under steam on M&HM, c.1965. Ted Ellis photo. 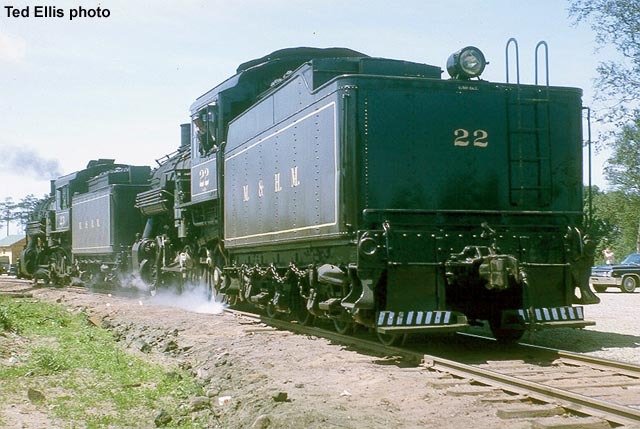 #22 in service on M&HM, 1964, Marquette, Michigan. Jerry Appleman photo.